DIY projects are skyrocketing in popularity. They make sense in the current economy, but more than that, they provide us with a sense of accomplishment and self-sufficiency. 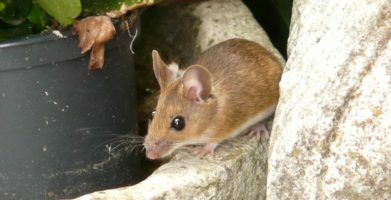 People with mouse or rat problems on their property—and people who simply want to avoid rodent problems—will be thrilled to learn that there’s an easy, green, effective, DIY way to repel rodents. The odds are almost 1 in 3 that you have rodents on your property. One little pair of mice and their offspring can create 15,000 more mice in the space of a single year. They´re cute in cartoons, but in real life, rodents carry and cause 35 known diseases in humans, including potentially fatal afflictions such as Lyme disease and Hanta virus. Rats and mice also cause 8% of all U.S. building fires by gnawing on electrical wiring. Clearly, finding a way to control rodents is critical for human health and safety. Many people phone a professional exterminator the moment they suspect they have a rodent control problem. (And by the time they suspect a problem, the chances are that it´s already much worse than they think. Rodents can somehow make themselves invisible while doing lots of expensive damage.) Professional exterminators are lifesavers in dire cases of overwhelming rodent infestation, but their treatments can be costly as well as potentially harmful to people and pets. What´s needed is a safe, easy, do-it-yourself way to prevent and control rodents. Kari Warberg Block, a North Dakota farmer, had rodents in her tractor cab. Poisons and traps could endanger her kids and pets, and also left disgusting mouse carcasses and skeletons for her to remove. Mothballs smelled bad and really didn’t work. Warberg Block began experimenting with the botanical oils she had on hand to make potpourri and discovered that balsam fir oil works great to repel rodents. 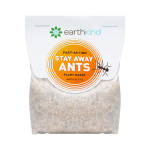 The scent makes them feel vulnerable by preventing them from smelling danger. Rats and mice hate feeling vulnerable—they’d rather settle down somewhere nice and safe—so balsam fir oil makes them want only one thing: to get away fast. A DIY rodent repellent called Fresh Cab® is the result of Warberg Block´s efforts. Fresh Cab is the only botanical rodent repellent that has been registered by the U.S. Environmental Protection Agency as effective for use indoors and in enclosed areas such as garden and tool sheds, garages and vehicle cabs. The product contains nothing but GRAS ingredients: ground corn cobs that have been soaked in essential oils, including balsam fir, lavender, cedar, Spanish rosemary, lemon and orange. It’s all wrapped up in a tidy, breathable pouch, and is sold across the country in farm and ranch stores, hardware stores and other retail outlets. Humans tend to love the smell—in fact, many people place Fresh Cab in musty closets—but it will repel rodents quickly and effectively. 2. In all dark, damp, seldom-disturbed places, such as under the kitchen sink and inside all bathroom vanities, behind the washer/dryer. 3. In crawl spaces, drop ceilings and between walls. 4. In the corners and along the walls of your attic, basement, garage and any unused rooms. In addition, clear out indoor clutter that makes rodents want to set up housekeeping on the premises. 5. Fill all outside cracks and holes in your foundation, subfloors, pipe openings, soffit vents, cable vents, gable vent screens and turbine and box vents on roofs. Fill every hole larger than ¼ inch—about the size of a pencil eraser. Then place Fresh Cab near these potential openings. 6. Fill larger cracks and holes with wire mesh or steel wool, and then seal with a recommended caulk or foam insulation. 7. Install weather stripping at the base of every door, keep doors closed as much as possible and place Fresh Cab near doors. 8. In your yard, store bricks, firewood, dead branches, etc., away from the house and off the ground. Fresh Cab, placed strategically and replaced every 90 days, will keep your property rodent-free. Many happy property owners, managers and landlords use Fresh Cab for easy, do-it-yourself rodent control. Check at a farm and ranch or hardware store near you. 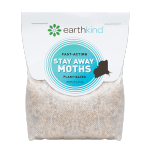 To read more about the company and the product, visit www.earthkind.com. DIY projects are skyrocketing in popularity. They make sense in the current economy, but more than that, they provide us with a sense of accomplishment and self-sufficiency. 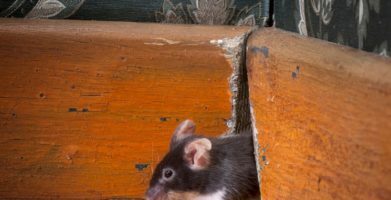 People with mouse or rat problems on their property—and people who simply want to avoid rodent problems—will be thrilled to learn that there's an easy, green, effective, DIY way to repel rodents. Kari Warberg Block, a North Dakota farmer, had rodents in her tractor cab. Poisons and traps could endanger her kids and pets, and also left disgusting mouse carcasses and skeletons for her to remove. Mothballs smelled bad and really didn't work. Warberg Block began experimenting with the botanical oils she had on hand to make potpourri and discovered that balsam fir oil works great to repel rodents. The scent makes them feel vulnerable by preventing them from smelling danger. Rats and mice hate feeling vulnerable—they'd rather settle down somewhere nice and safe—so balsam fir oil makes them want only one thing: to get away fast. A DIY rodent repellent called Fresh Cab® is the result of Warberg Block´s efforts. Fresh Cab is the only botanical rodent repellent that has been registered by the U.S. Environmental Protection Agency as effective for use indoors and in enclosed areas such as garden and tool sheds, garages and vehicle cabs. The product contains nothing but GRAS ingredients: ground corn cobs that have been soaked in essential oils, including balsam fir, lavender, cedar, Spanish rosemary, lemon and orange. It's all wrapped up in a tidy, breathable pouch, and is sold across the country in farm and ranch stores, hardware stores and other retail outlets. Humans tend to love the smell—in fact, many people place Fresh Cab in musty closets—but it will repel rodents quickly and effectively. Fresh Cab, placed strategically and replaced every 90 days, will keep your property rodent-free. 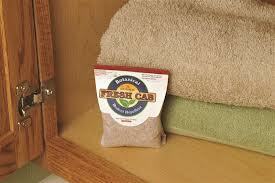 Many happy property owners, managers and landlords use Fresh Cab for easy, do-it-yourself rodent control. Check at a farm and ranch or hardware store near you. 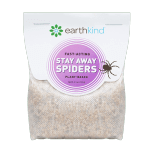 To read more about the company and the product, visit www.earthkind.com. string(66) "Do-It-Yourself Mouse and Rat Control is Easy with Rodent Repellent"
string(210) "DIY projects are skyrocketing in popularity. They make sense in the current economy, but more than that, they provide us with a sense of accomplishment and self-sufficiency. People with mouse or rat problems..."